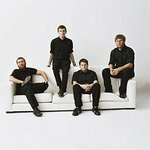 Band members include Tom Gabel, Andrew Seward, James Bowman, Warren Oakes. The band has played shows benefitting the Harvest of Hope Foundation. Google trends for "Against Me!" We don't have any videos related to Against Me!.